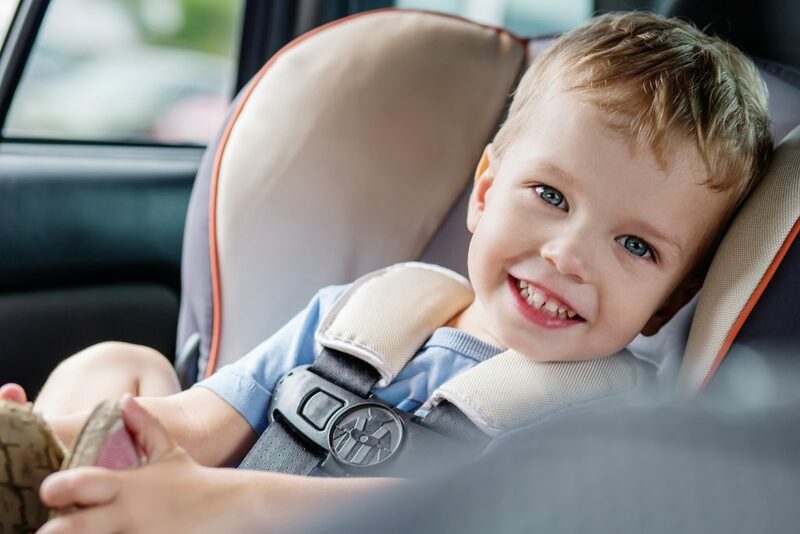 The NHMRC-funded Motor Impairment Program will answer key questions about the neurophysiology, neuropathophysiology and clinical management of motor impairment. For each theme (see Figure) we have identified (a) critical gaps in current understanding; (b) key questions which can be answered by emerging research techniques; and (c) promising new directions for therapeutic intervention. 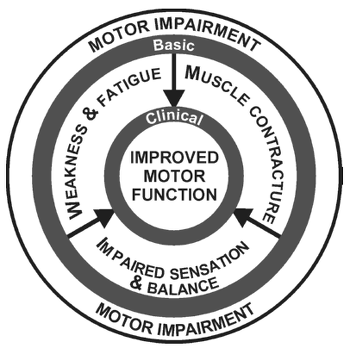 Our vision is to advance the transfer of new understanding of physiology and pathophysiology in motor impairment toward the clinical outcome of improved motor function. We will conduct our studies on human volunteers and patients using a range of overlapping research approaches, from pure basic (physiological) research to applied (clinical) research. This combination of approaches will ensure that our clinical research is informed by contemporary understanding of the mechanisms of motor impairment. We will nest laboratory studies within larger clinical studies to explore the mechanisms underlying effects observed in clinical trials. testing clinical effects of interventions. Many of the planned studies will examine neurophysiology and pathoneurophysiology of the motor system, namely the structures and processes which produce and control body movement. This will involve studying the command to muscles provided by the brain, as well as the muscles that effect those commands. We will also investigate the processing of sensory information used to plan and provide ongoing control of movement. Through randomised controlled trials, we will investigate which interventions are effective in improving movement function in multiple sclerosis, and the mechanisms underlying the changes (for example, in the ‘iFIMS Trial: Preventing Falls in People With Multiple Sclerosis’). what are the mechanisms that contribute to ‘central’ fatigue. Through randomised controlled trials, we will investigate which multifactorial interventions are most effective in preventing falls in older people and the mechanisms underlying their effectiveness (for example, in the ‘iMAP Trial: Preventing Falls in Older People’). the role of joint pain in sensorimotor disturbances in arthritis. We will trial novel approaches to the measurement and potentially the treatment of muscle contracture. Our laboratory studies will include studies of the ‘passive’ 3D recruitment of muscle fascicles and the properties of tendons in vivo. This work will lead to studies in clinical populations in whom contracture is common, such as people with stroke, spinal cord injury and multiple sclerosis. Our studies will also focus on understanding hand function and the changes in muscle and tendon behaviour following stroke. 1: Ada L and Canning C. Key Issues in Neurological Physiotherapy Oxford: Butterworth Heinemann, 1990, p. xv, 295 p.
2: McConnell J and Crosbie J. Key Issues in Musculoskeletal Physiotherapy. Oxford; Boston: Butterworth Heinemann, 1993, p. xv, 204 p.
FEEL THE BUZZ IN THE AIR? US TOO. Ten siblings. One third live (or have passed away) with dementia. The scourge of dementia runs deep in Lorna Clement's family. Of the eleven children her dear parents raised, four live (or have passed away) with complications of the disease. Her mother also died of Alzheimer's disease, bringing the family total to five. This is the mystery of dementia - One family, with two very different ageing outcomes. You will have read that lifestyle is an important factor in reducing the risk of dementia. We also know diet is a key factor, and an aspect that Dr Ruth Peter's is exploring at NeuRA. Along with leading teams delivering high profile evidence synthesis work in the area of dementia risk reduction, Dr Peters has a particular interest in hypertension (that is, high blood pressure) and in the treatment of hypertension in older adults. “We have known for a while that treating high blood pressure reduces the risk of cardiovascular disease and stroke, but it is becoming clearer that controlling blood pressure may also help to reduce the risk of cognitive decline and dementia. Now we need to know what the best blood pressure is to protect brain health.” You are invited to read more about Lorna's story and Dr Peter's work, by clicking 'Read the full story' below. Please support dementia research at NeuRA Will you consider a gift today to help Dr Peter's unlock the secrets of healthy ageing and reduce the risk of dementia? Research into ageing and dementia at NeuRA will arm doctors and other medical professionals with the tools they need to help prevent dementia in our communities. Thank you for your support. Self-management and Health Promotion in early-stage dementia with E-learning for carers (SHAPE). This is a trial designed to test a new intervention to support people with early stage dementia and their carers. The research combines three existing interventions based on self-management, health promotion and e-learning into one extended educational program. The aim is to improve self-efficacy by equipping and empowering people with dementia and their carers with relevant knowledge, information and skills in the early stages of the disease. We hope to prevent unnecessary excess disability, premature loss of function or institutionalization and ultimately support people to live well with dementia in their own home for as long as possible.